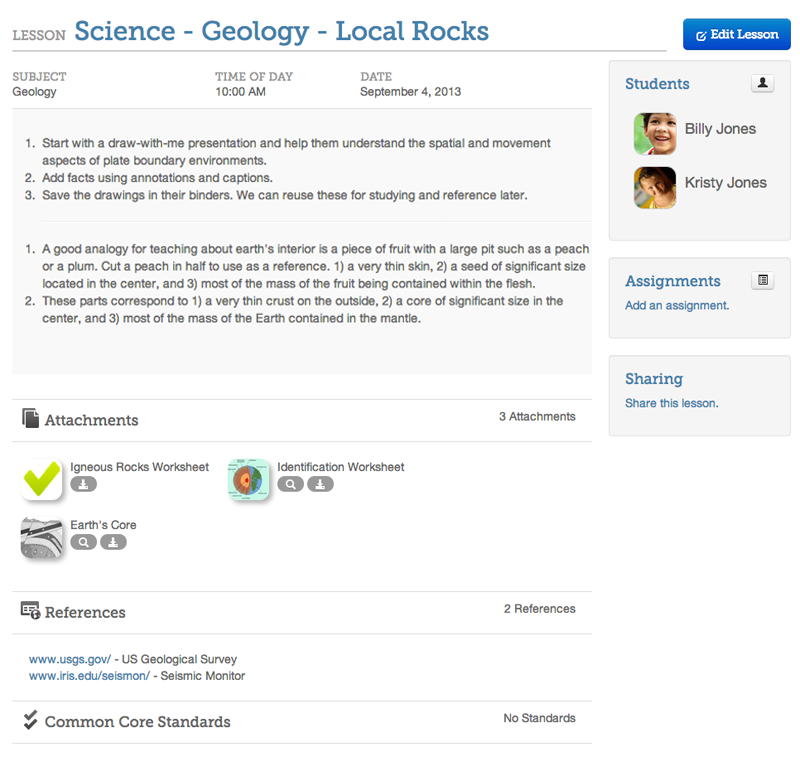 SubjectPlanner provides easy online lesson planning for your homeschooling needs. 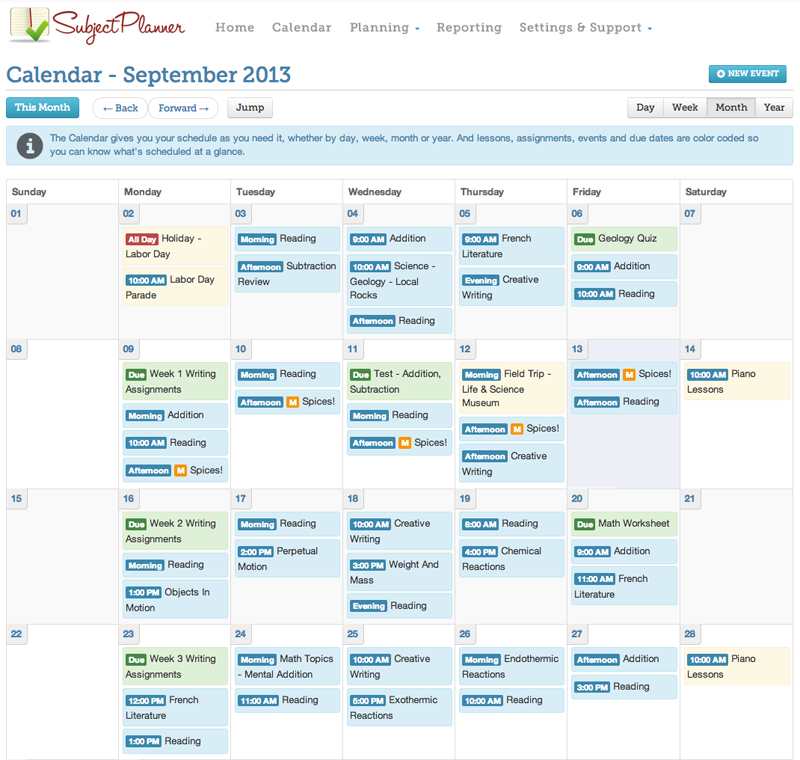 Whether it's Math, English, U.S. History, soccer practice or a doctor's appointment, SubjectPlanner keeps track of it all. See what's planned for today, tomorrow or in three months. 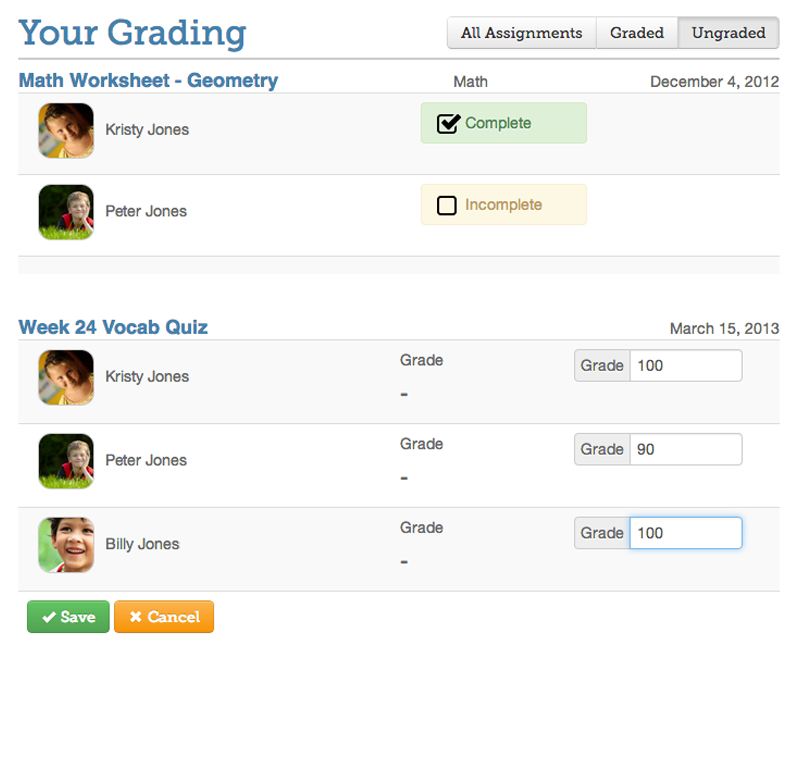 SubjectPlanner keeps everything in one place, so you don't have to search high and low for your lesson plans. Track your children's progress while you focus on their successes, one lesson, assignment or Common Core Standard at a time. 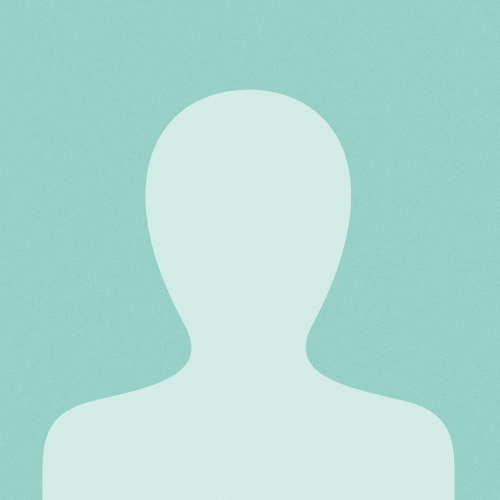 SubjectPlanner is a time saver! I can keep track of my lesson planning at home, during soccer practice – anywhere! No more pencil and paper for me. For years, I've used the old standard lesson planner book. 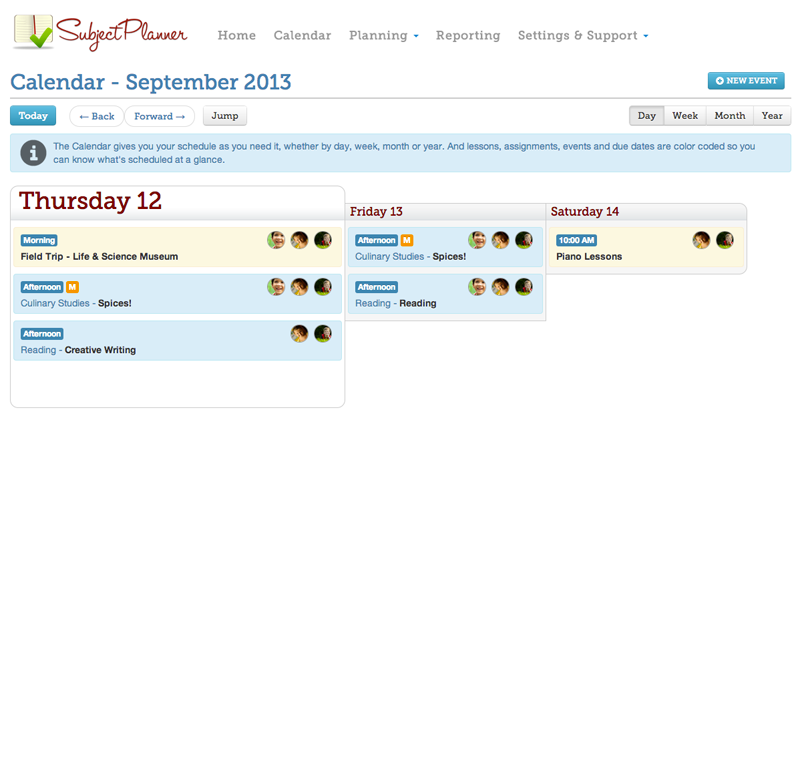 SubjectPlanner puts me in the 21st century by letting me keep my plans online. No more searching for my lesson book when I misplace it! It's so affordable. When I think about how little it costs for me to have the peace of mind knowing my lesson plans are safe, secure and available on my iPad (it's cheaper than a movie ticket or frappucinos for a week), it makes me glad I found SubjectPlanner! I wasn't organized until SubjectPlanner. Ever since I started homeschooling my kids, I tried a lot of ways to keep track of my lesson planning. Lesson books, software programs, dry erase boards. None of it really gave me what I was looking for – one place that keeps track of everything, even my personal notes about how things are going. I can keep up with lessons while we're on the go. With teenage boys, we're always running here and there for sporting events, field trips and family time together. SubjectPlanner lets me check lesson plans from my tablet, even while I'm cheering my kids on during the seventh inning. I'll never use another paper planner again! Like a lot of homeschool parents, I used the old fashioned paper planner for lessons. 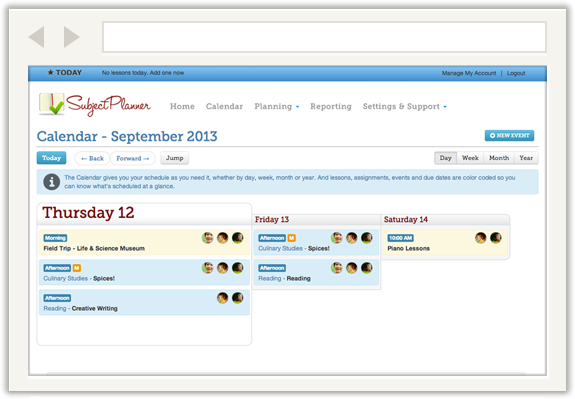 But once I started using SubjectPlanner, I couldn't imagine ever going back... SubjectPlanner keeps track of my lesson plans, my kids' sports calendar and our family vacations — all in one place. We know the challenges homeschool families face. That's why we created SubjectPlanner. 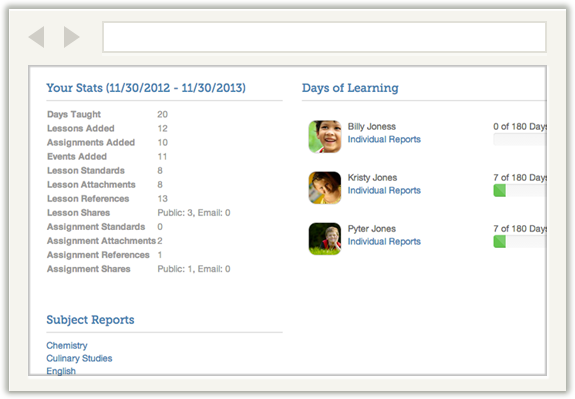 You can see your school calendar between now and the end of the year with a simple click. No more juggling multiple planners, calendars or lesson books. 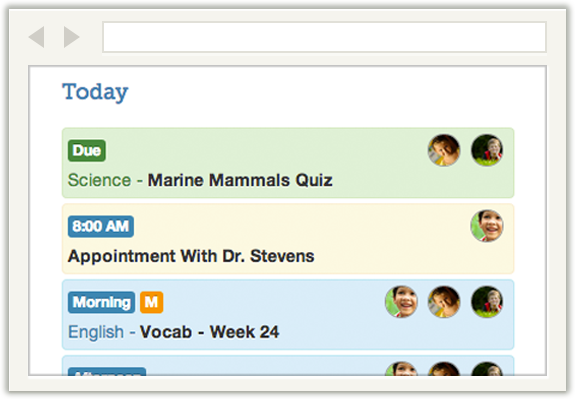 SubjectPlanner let's you do it all in one place. SubjectPlanner let's you see how your children are performing over the year, how many days left before summer and which Common Core Standards have been covered. No commitments, no obligation. Cancel any time. Sign up and save two free months!